"Artistry Labs was able to quickly capture the core elements of our church and give them life. 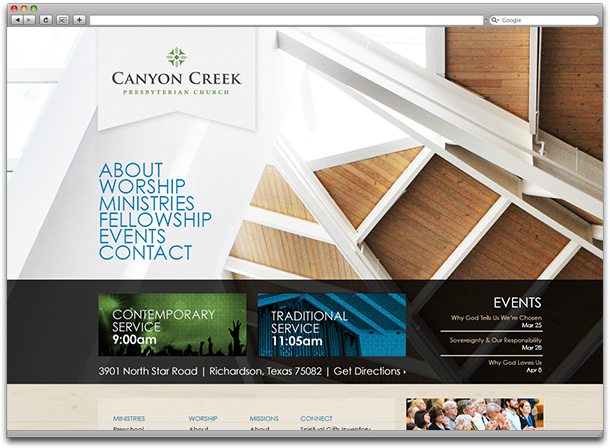 Like the church, our website has a simple, clean, transparent look that is refreshing and genuine. I am deeply grateful to the talented staff at Artistry Labs for creating a site that expresses the very best of who we are." 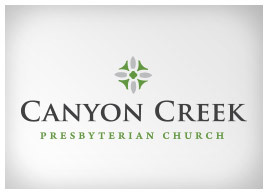 Canyon Creek Presbyterian Church is a growing, family church where anyone can worship God, grow in Christ, and be empowered to touch the lives of those around them. They wanted to take their ministry to the next level, so that others in the community might see the unique energy and culture that God has given them, and be able to influence more lives than ever. 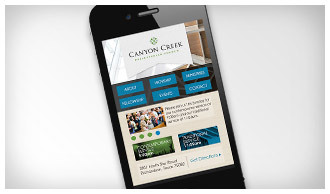 Artistry Labs came alongside Canyon Creek to help them do just that. We gave them a brand that portrayed their modern relevance and inspiration, creating a sense that this church far exceeds traditional expectations. With a complete brand makeover, including a new website inspired by their modern-style architecture, they are better able to minister to families and reach out to their community.